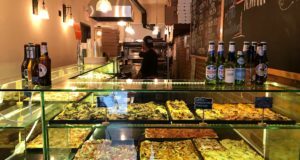 Summary : This tiny, family-run pizza spot has garnered national accolades. 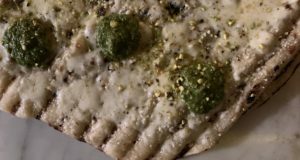 Their unique, seasonal pies are unlike anything I've had before and are an especially welcomed addition to the Chicago pizza scene. When I was mapping out a recent roadtrip to the Midwest, there was one activity around which I planned our entire itinerary: dinner at Great Lake in Chicago. Since the shop — located in the Andersonville neighborhood — is only open Wednesday through Sunday, I wanted to make sure we could squeeze in an outing. In fact, considering what I’d hear about the waits, I wanted to make sure that we’d be able to block out an entire evening to ensure that we were able to try what many people consider some of the best pizza in this country. As you might have previously read, our trip began with uninspiring stops at We, The Pizza in Washington DC and Pizza Oven in Canton, Ohio. In Chicago, I enjoyed Lou Malnati’s for what it was — a delicious classic deep dish pizza place. But it wasn’t what I’d consider pizza of high quality. Great Lake — on the other hand — takes quality to a new level. 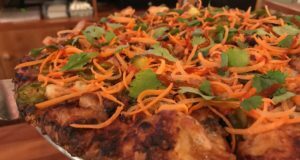 The couple wanted to start a business that reflected their values: a neighborhood shop that purchases top-quality ingredients directly from farmers, makes every pizza by hand and serves great food at affordable prices. They also wanted to make sure their business did not take over their lives. The 14-seat shop is open only four days a week and does not take reservations. Deliveries? Yeah, right. Fascinating stuff! A few months after that piece ran, Adam from Slice put together a March Madness bracket of 64 pizza places for a feature in Everyday With Rachael Ray. I’m sure you can guess which pizza place made it into the final four from the “Midwest” bracket. There was Great Lake … alongside heavyweights Motorino, Pizzeria Bianco, and Pizzeria Mozza. That’s some impressive company. It’s worth noting that the owners used to work with Chris Bianco in Arizona before opening their shop. Finally, Chicago Magazine recently came out with a list of the 25 best pizzas in Chicago. Number 1? The Cremini Mushroom and Dante Cheese pie at Great Lake. So it was with great anticipation (and expectations) that we set out to see what all the hype was all about. We decided that our best shot at avoiding a wait would be to go on a Wednesday about one hour before the restaurant opens at 4:30PM. When we arrived, we were the first party in line. But as opening time approached, more people joined the line. At precisely 4:30PM, the doors open and the crowd piled in. All of the restaurant’s 14 seats were filled immediately and a number of people placed orders for take-out. In order to ensure some sense of order, the restaurant allows no parties larger than four people. There’s a communal table in the middle of the restaurant which can accommodate up to eight people. And then there are three additional tables for two. Not much wiggle room. You have to walk through the kitchen to find the bathroom.Like any master pizzaiolo, Lessins takes his time with each and every pie. On this particular night his wife was helping prepare the toppings and his son was waiting tables. Especially given the size of the space, it was nice that the staff moved at a relaxing pace. Nothing about our dining experience felt rushed. 1) One wall contains shelves featuring products for sale. Many are cooking related. 2) The kitchen is open, so you can watch all of the preparation. 3) There are no physical menus. Everything that’s available is posted on the wall. Their offerings change frequently. As you can see, on this particular night there were three pies available. Despite their size (these aren’t personal Neapolitan pies we’re talking about here!) we had to try them all. First up was a zucchini pie with mona aged cheese and black pepper. It was followed by a more standard pie with tomato, homemade fresh mozzarella, mona aged cheese, herb, and cremini mushrooms. And our final pie contained sweet corn, fresh cream, and fresh garlic.No other pizza place I’ve been to has put so much emphasis on the toppings. The focus of each pie was one specific topping by which the pie was characterized. This topping — whether it was zucchini, mushrooms, or corn — ruled the pie. There is no skimping at Great Lake. Aesthetically, the zucchini pie (below) was one of the most beautiful pizzas I’ve ever seen. It was almost too pretty to eat. You could tell how much care was put into preparing it. 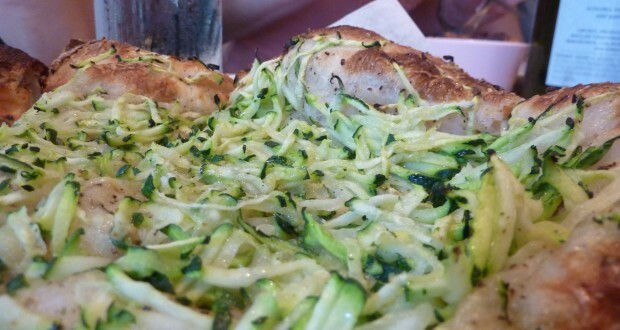 I’d also never had zucchini on pizza before — at least not as the primary topping — so this was a new experience for me. It turned out to be a good one. This was my favorite pie of our meal. Next up was the mushroom pie (below). Once again, the main topping captured the essence of the pie as the flavor of mushrooms permeated through my mouth and taste buds. They were fresh and juicy, and served as a nice complement to the mona cheese — a cow and sheep blend from the Wisconsin Sheep Dairy Cooperative. All ingredients are from local vendors. And you can even hold the folks at Great Lake to their promise of using ingredients that they purchase directly from farmers. Their suppliers are listed at the bottom of the menu board. Our final pie was the sweet corn pie. I don’t even like corn (I know…) but I really enjoyed this pie. Although the mona cheese provided creamy undertones on the first two pies, the fresh cream provided an even creamier taste to this pie. Corn is another topping I’ve never seen emphasized so heavily on a single pie. To take so few ingredients and turn them into something so delicious… well, you have to be doing something right. Blogs have raved about the crust. It was like no other crust I’ve had before. It was airy, yet thick — almost like a loaf of bread that happened to have some toppings on it. Between our three pies there were some inconsistencies in the extent that the crust was cooked (ranging from lightly charred to slightly burnt), but it didn’t take away from the taste. Clearly, the existence of Great Lake has hit a soft spot for some. Since it opened in February 2008, it has risen to the top of the Chicago pizza scene and even garnered national media attention. And with that comes labels like “pretentious.” But one thing is for sure — the pizza is damn tasty. And damn beautiful too. Our leftover slices were combined into a single pie that was almost too beautiful to eat. Somehow though… it didn’t last for long in the refrigerator.